You can make a donation to support PTO at anytime throughout the school year. For the 2018-2019 school year our goal is to raise funds for a technology cart (iPads) and additional playground equipment. We appreciate any amount and every dollar truly does help! Thank you for all you do! 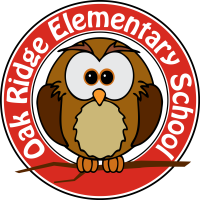 Oak Ridge PTO is a non-profit 501(c)(3) and monetary donations are tax deductible. Receipts will be issued upon request.